DORIN FRANKFURT’s sleeveless dress looks so elegant with a small purse and heels for evening, but can work just as well for more casual events. 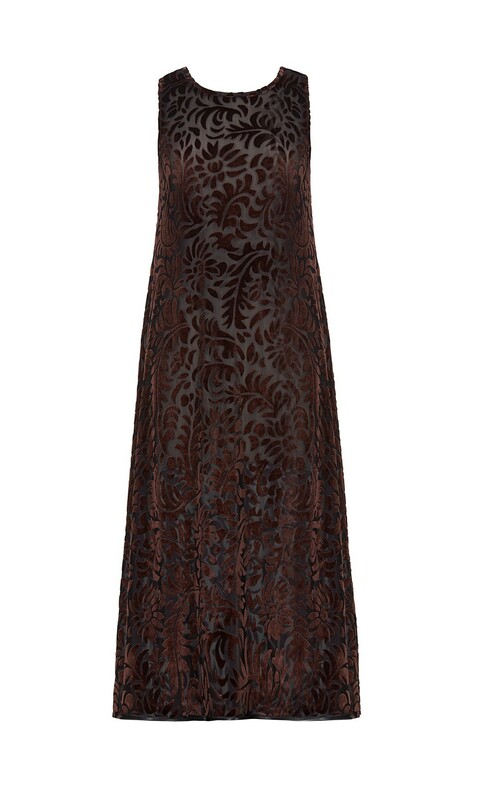 Cut from a lustrous brown and black floral devoré velvet, it's detailed with wave motifs and contrasting black piping through the hemline to emphasize the asymmetric hem. 65% Polyester, 27% Nylon, 8% Span.